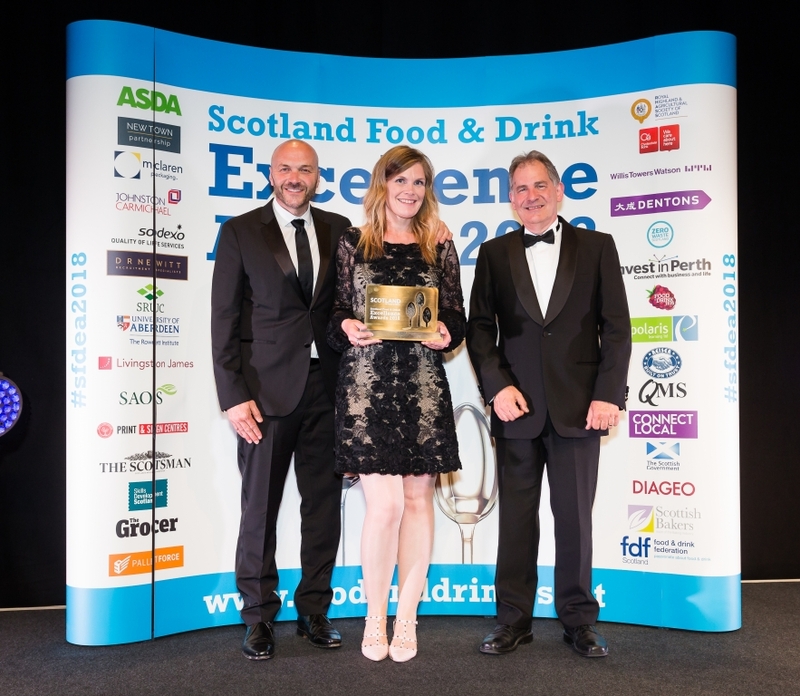 The Scotland Food and Drink Excellence Awards were held on Thursday 7th June at Edinburgh’s International Conference Centre. Recognised by both trade and consumers as an accolade of the highest quality, the awards highlight business excellence, innovation and best practice across the Scottish food and drink industry. 12 product-focused categories were judged by a thorough process, which included the scrutiny of packaging, quality of product and taste. In the course of their assessment of the entries, the judges sampled 197 Scottish products ranging from cheese and chocolate, to ginger beer and gin. The Rowett Institute sponsored the Healthy Choice award, which celebrates companies and products whose very ethos has healthy eating at heart. Institute director Professor Peter Morgan presented the 2018 Healthy Choice award to Hungry Squirrel; whose ABC nut butter beat the other 9 competitors to the top spot. The black-tie evening showcased Scotland’s fantastic larder including produce from previous winners and finalists. The meal began with a starter of Luss Smokehouse Trout served with Summer Harvest Green Tarragon Mayonnaise, Scotch Leg of Aberdeenshire Lamb and Stornoway Black Pudding for main and finished with Pittormie Gooseberry, Elderflower Grahams Dairy Baked Cream.